- Majorda will be hosting an exhibition titled “Goan Crazy” - a multi-media art show by David Flaviano Fernandes, which will include watercolours, acrylics, tile murals, coffee table inlays, miniatures and more - portraying both the nostalgia and the beauty of Goa, the way locals see it. 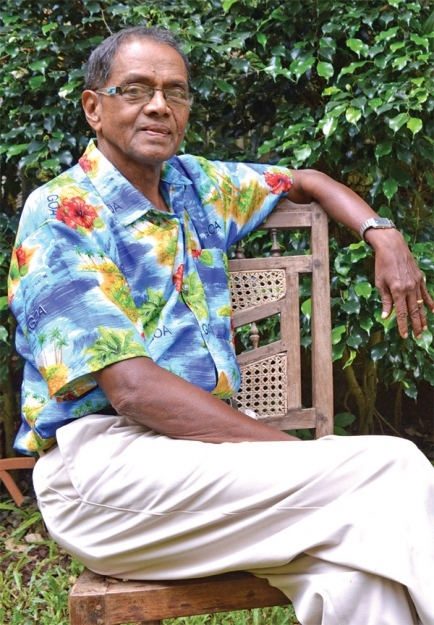 David, a senior artist from Goa, passed out from Sir J. JJ. School of Art, Mumbai. During his time in Mumbai, David worked as a Visualizer with well-established advertising companies before choosing to further his career in the UK. As a commercial artist, David is well versed with the various mediums, styles and techniques of art and understands the different avenues art has to offer. Till date festive seasons are a time where his window painting and design skills are in high demand not only in Goa but also in Mumbai. As a teacher over the last twenty years odd years, David has taught multiples of students of all ages and backgrounds. David’s ability to make the subject of painting and craft appear like child’s play has been his biggest asset as a teacher. David’s pet subject for long now has been “Goa”. From sunsets on the beach, fisher folk and coconut pluckers at work and well known scenic spots to the flora and fauna of Goa and caricatures of cheerful Goan local village scenes. Whether it’s his miniatures, azulejos or larger acrylic based artworks, one can truly appreciate the essence of Goa in David’s artworks from the vibrant colours on his palette. David’s experience in art and teaching has made him a household name in South Goa as both kids and adults alike have all been his students. David has also been associated with creative spaces like Carpe Diem where he has been a regular resource artist for the last 4 years.